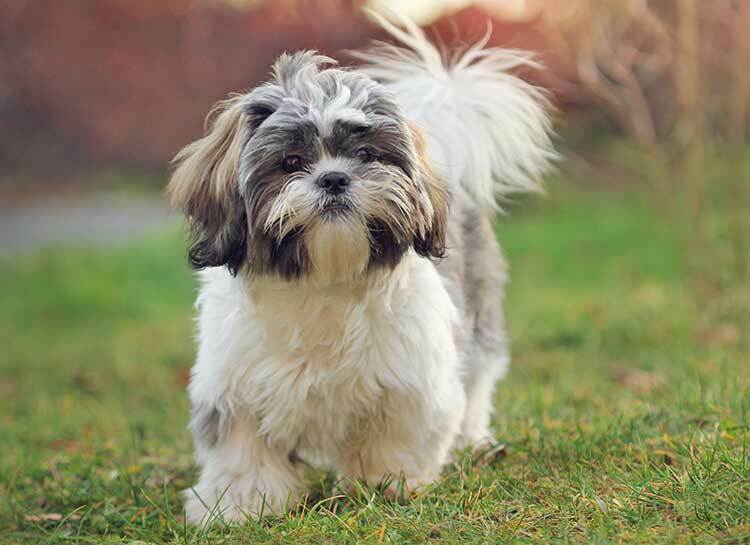 The Shih Tzu is thought to be a cross between Lhasa Apsos, who were brought as gifts to the courts of China from the great monasteries of Tibet, and the resident Pekingese dogs. The original Chinese breed standard for the Shih Tzu must be the most romantic ever written. It says that they should have the head of a lion, the face of an owl, the eyes of a dragon, the tongue of a peony petal, teeth like grains of rice, ears like palm leaves, the back of a tiger, the tail of a phoenix, and the movement of a goldfish! Despite originating in China in the 17th century, the breed was hidden from the West and was largely unknown until the 20th century. Loyal to their owner and family. Has a slight arrogance and often thinks he knows better! They make excellent pets for children and will happily play all day. Can live in town or country, and although will adapt to the family's lifestyle, they still enjoy daily exercise. The Breed Standard stipulates height at withers not more than 27cm. Weight: 4.5-8kg. Generally healthy, but there are one or two breed-specific areas to watch out for, especially eye infections. Plenty of grooming tools required!